I have collected LED watches for many years. It is because of my passion and accumulated knowledge; I decided to create this Web Site for everyone to enjoy a most rewarding experience. My first interest in collecting began after seeing numerous articles in a fashion Magazine during the mid 1990's. I discovered there were many beautiful and spacey designs of these unique timepieces. 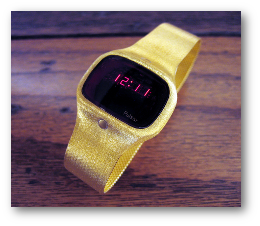 This triggered a fond childhood memory of having owned an inexpensive LED watch in the late 1970's. My quest had just begun! 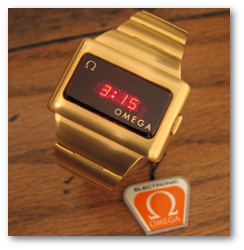 After collecting anything that glowed in red, I fell in love with the rich quality of the Pulsar & Omega high end models. You will see that these are the main focus in this Web Site. My research expanded to tracking down the rarer models; studying these exclusively designed watches along the way. My goal is now the creation of this Web Site; making it The Place that I want to visit while continuing my LED watch journey! Be sure to check out the various gallery sections for luminous pictures of my favorite watches and scans, and and always feel free to contact me should you have any Pulsar watches or any LED interesting memorabilia items for sale, You can contact me on Facebook & Twitter (links top right of page), or Email me at [email protected]. I will always be thinking of fresh ideas for this site; updating the sections, providing new, detailed pictures. Be sure to bookmark this Web Site and visit often. Above all; Enjoy Your Stay!